The student leader played a key role in establishing the way JNU students actively organise movements across the country addressing issues of Dalits, women, labourers and students. When Prasad was murdered, the proponent of secularism, social justice and the messiah of the backward castes, Lalu Prasad Yadav was in power in Bihar. Chandu’s murder sparked massive outrage among JNU students who marched to Delhi’s Bihar Niwas and demanded Yadav come out and speak to them. They were, however, greeted by police bullets. Rashtriya Janata Dal (RJD) MP Mohammad Shahabuddin was the prime accused in the killing, while Sadhu Yadav, another RJD leader, ordered the police to open fire at the student protesters. Denial of justice is not a new trend that we have witnessed only in the cases of Rohith Vemula or Najeeb Ahmed. Though Chandrashekhar’s shooters were sentenced, prime accused Shahabuddin, who has been involved in several other murders, was instead rewarded. He was elected MP four times and twice as MLA in Siwan. Recently, journalist Rajdeo Ranjan was murdered and Shahabuddin, though imprisoned at the time, was accused of being complicit in the murder. Currently, he is lodged in Tihar jail and is also a member of RJD’s working committee. When the young man, who had stoked a fire and raised a voice for the oppressed, was removed as president of the student union of JNU, he chose to move to Siwan and start a similar movement. In Siwan, Prasad opened a front against Shahabuddin in his own stronghold. He primarily raised issues of crime, corruption and scandals in Bihar’s politics and got a positive response from the people. Prasad had a dream that he would change the political scenario of India and had even taken a few steps towards it. On April 2, 1997, a bandh had been called to protest against mass murders and scandals in Bihar. On March 31, while addressing a nukkad sabha at JP Road, Prasad and his comrade Shyam Narayan were gunned down. A hawker, Bhutele Miyan, was also killed in the shootout. Though Prasad did not die fighting British imperialism like Bhagat Singh did, his wish to die fighting the political forces responsible for corruption and violence was fulfilled. Prasad was one of the few young men and women who have the courage to take on the system, who dream of changing a corrupt system and speak to the poor, the labourers, the Dalit and women. But unfortunately, the politics of our country does not approve of such young people and so they meet such a fate. Prasad had emerged on the scene as a hope to the poor masses of Bihar. But in the guise of democracy, secularism and social justice, the politics of power and strongmen took its toll on him. Born on September 20, 1964, in Siwan, Prasad was merely eight-years-old when his father passed away. After passing intermediate from the Army School in Tilaiya, he was selected for NDA training. However, he did not like the program and left it two years later. Later, he joined leftist politics and went on to become the state vice president of the All India Students Federation. Upon reaching JNU, he started his political career by joining the All India Students’ Association (AISA), the student wing of Communist Party of India (Liberation). He quickly emerged as a strong and popular student leader. In 1993-94, he was elected the vice president and, later, twice the president of JNU’s student union. With the intention of working on the ground, he headed back to his native district of Siwan. The CPI (ML)’s allegation is not completely unfounded. Today, Shahabuddin, while still lodged in jail, is accused of the murder of journalist Ranjan. He has been moved to Delhi’s Tihar on a petition filed by Ranjan’s wife. Prasad was killed at a time when murders during elections in Bihar were a common phenomenon. 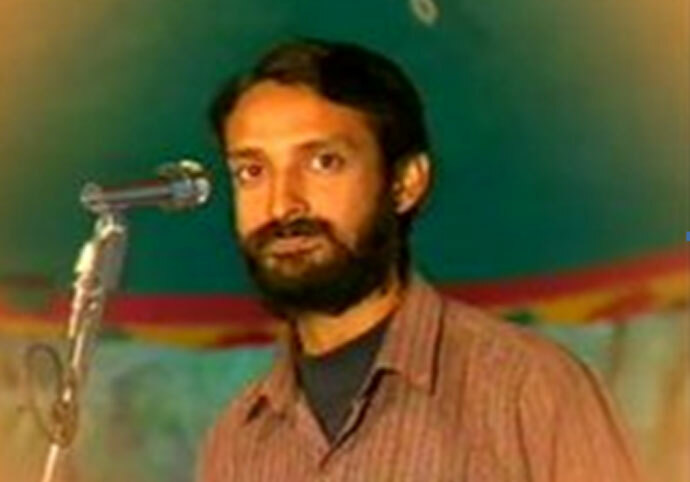 Several leftist leaders had been murdered before Prasad. To stop people from voting for the opposition, goons sent by criminal politicians fired rounds of bullets in polling booths. Thousands of young men and women participated in a march held from his village to the JP roundabout in Siwan where the murder had taken place. It is said that Siwan had never before witnessed a procession this huge. In Delhi, a strong protest rally was held by students and scholars. Other such protests took place across the country demanding punishment to Shahabuddin and Sadhu Yadav. Demands were made for Shahabuddin’s dismissal as a member of parliament and for the arrest of Sadhu who was involved in the shooting of protesters at Bihar Niwas. Gujral termed these demands unnatural. Shahabuddin was arrested but in the absence of concrete proof or witnesses, he was released on bail. After 15 years of court hearings, three shooters who had links with political strongmen were sentenced to life. 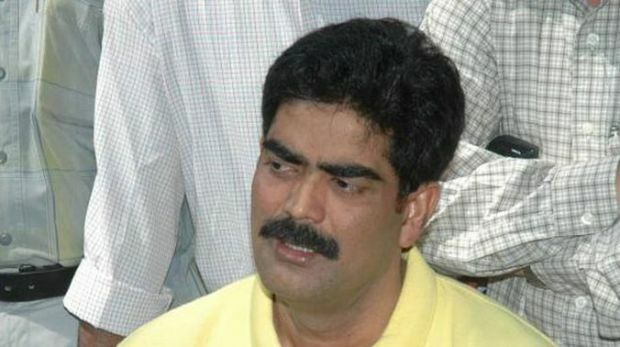 Shahabuddin was sent to prison in relation to several other cases. But in the case of Chandrashekhar’s murder, witnesses were pressurised so they either turned hostile or went into hiding. It was at a time when Shahabuddin was Bihar’s criminal overlord. Prasad played a key role in establishing the way JNU students today actively organise movements across the country addressing issues of Dalits, women, labourers and students. He fought a decisive battle on the issues of fee hike, reservations and privatisation of the university. Chandrashekhar was a hope for all those who have faith in young leadership. But the country could not handle him. During the 1993 student union elections, someone had asked Chandrashekhar, “Are you contesting the elections out of personal ambition?” To which he had replied, “Yes, I have a personal ambition – a life like Bhagat Singh’s and a death like Che Guevara’s.” His friends proudly say that he fulfilled his promise. This article was originally published on The Wire Hindi and was translated by Naushin Rehman.